Simply put, we love what we do. Nourishing the mind, body and soul of the people we serve and the people we grow. It’s about procuring the freshest foods, and creating an environment that promotes even fresher ideas. We stage food-centric moments of sharing. Our food brings people together. Our people bring their best every day. A simple focus, we cook FIT. We help you to choose foods that support health and well-being. We celebrate the season in everything we do. Menus are designed specifically for you by your chef. Your voice is heard! Real food, the right ingredients for true global flavors. We are committed to earning your loyalty. In a word, authenticity is the common denominator of the food we bring to the table. From our use of the freshest ingredients procured from local farmers when possible, to our partnership with purveyors who support sustainable practices, we never compromise on the quality of the raw ingredients that make their way into our kitchens. Our food tells a story, be it about the comfort and familiarity of local and regional recipes near and dear to the hearts of our diners, or more exotic tales of global cuisine authentically prepared with ingredients from around the world. To keep things fresh and interesting, we change with the seasons, always taking full advantage of the current crops Mother Nature so generously provides. Chef appearances and visits from local farmers demonstrate how we are rooted in the community. In consultation with you, our chefs operate like owners of their own restaurants. They take great pride in the nuances of your business and the consistency of their creations to create a unique dining experience that’s specific to that business. We make it our business to be one step ahead of the competition. We anticipate changing tastes, trends and market conditions. We are born innovators, not imitators. We take it to heart. FLIK takes wellness to heart. Our commitment to educating and nourishing those who dine with us, is an act of love born from our desire to connect with people and make their lives better one bite at a time. 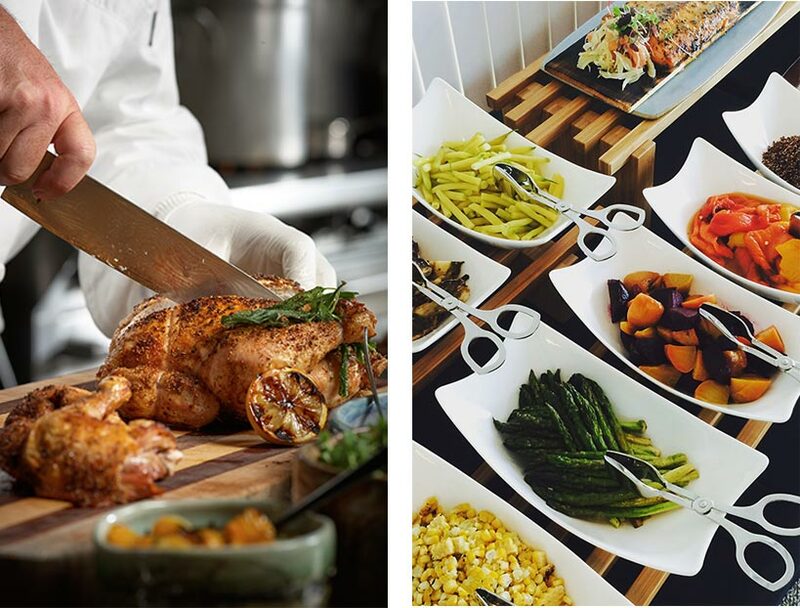 We incorporate healthful foods and nutritional information on our menus to revitalize and reenergize our guests. We boast the most comprehensive nutritional data base in the business, with over 7,000 chef-tested, nutritionally analyzed recipes. By keeping ourselves on the cutting-edge of nutritional technology, we make sure that our clients reap the delicious rewards of a meal that is well-balanced, health promoting and handcrafted. We love to share our knowledge of healthful choices and make it a priority to educate people about the ingredients we use and the importance of their food selections. We are humbled by the knowledge that the food we serve can literally have life-changing effects. And, as always, we collaborate with you and respect your values and goals to ensure that everything that comes out of our kitchen aligns with your vision...your culture...your clientele.